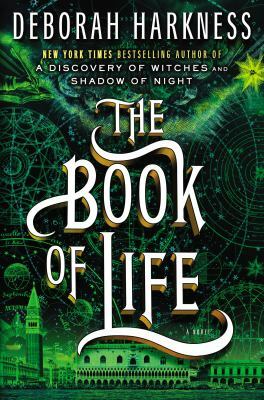 This is the final book in a trilogy featuring time traveling witch and historian Diana Bishop and powerful vampire Matthew Clairmont, a scientist. The first book is Discovery of Witches. In this book, Diana and Matthew are living in the present, after living in the Elizabethan era for a while. Diana is seeking a lost manuscript with clues to the origins of witches, vampires, and demons, while Matthew is working with scientists and graduate students on DNA research. Vampire Benjamin, the main villain of the trilogy, along with witch Peter Knox, turns up again, and pregnant Diana can’t go anywhere without her personal bodyguard, who is hopelessly in love with her. Much family and organizational politics in this novel, but very well done. There is lots of action, but I think the author really excels in domestic scenes, describing the homes and mansions where the Bishop-Clairmonts live, and some memorable family dinners. Diana’s powers as a witch with unusual powers increase, even as she must become the family’s diplomat.